Big Bear Lake is the perfect destination for your mountain biking and road biking mountain vacation. Located in the beautiful San Bernardino National Forest, Big Bear has everything you are looking for in a local getaway. Only a two hour drive from Los Angeles, it’s easy to find a cheap cabin rental or a luxury cabin rental for a weekend road trip. Tour de Big Bear is happening Saturday, August 2, 2014. It features mountain bike rides with four different length routes; 25, 50, 70 and 100 miles. Activities start in Big Bear Village near the lake. Tour de Big Bear lets you enjoy a spectacular mountain ride in the fresh mountain air and escape the heat of the summer! Signage and law enforcement will be posted at all major intersections, and aid stations for hydration and refueling will be found along the way. 70 and 100 mile riders automatically get entered into the “King/Queen of the Mountain” with a 7 mile climb to the top of Onyx Summit for cash and prizes. Come see some of the most spectacular views Southern California has to offer on Tour de Big Bear! Mountain biking in the mountains and in the San Bernardino National Forest can be a challenge with the thin air, so listen to your body. After the race, be sure to relax and enjoy the Big Bear Village for restaurants such as El Jacalito, Big Bear Lake Brewing Company, Peppercorn Grille and entertainment at The Cave. Big Bear is a pet friendly community and Destination Big Bear has pet friendly cabins for you to enjoy. You and your fellow riders can find cheap cabin rentals in Big Bear, or luxury cabin rentals in Big Bear Lake with views of Snow Summit and Bear Mountain. Stay an extra day and golf in Big Bear with PGA Pro Dallas Goldsmith on Bear Mountain Golf Course, or head down to Big Bear Lake and head out on the water in a pontoon rental, kayak rental, canoe rental, jet ski rental or stand up paddle board. Big Bear Lake has it all! Big Bear bike shops include Chains Required Bike Shop and Bear Valley Bikes. 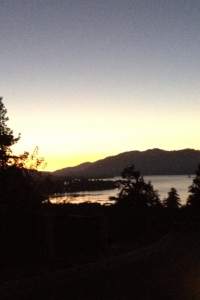 So come up to Big Bear this weekend, enjoy your cabin rental in Big Bear Lake and have fun mountain biking in Big Bear!